Quick snap of my Boxster after drive to work. 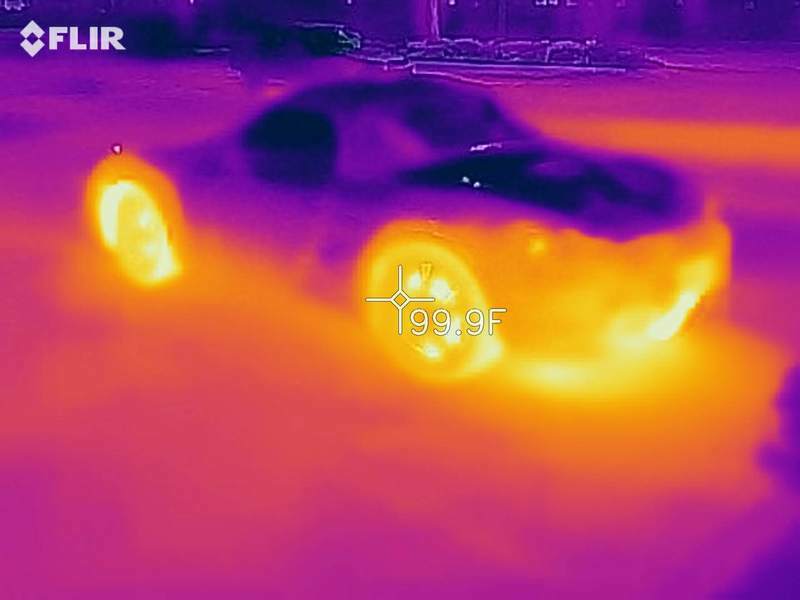 Early AM (5am) 75 degrees out, only a 9 mile drive..
What model Flir do you have? Mine does not ouput images that large, and they have a lot more useless info cluttering up the screen. well THAT's kinda fun! I'll have to try mine!